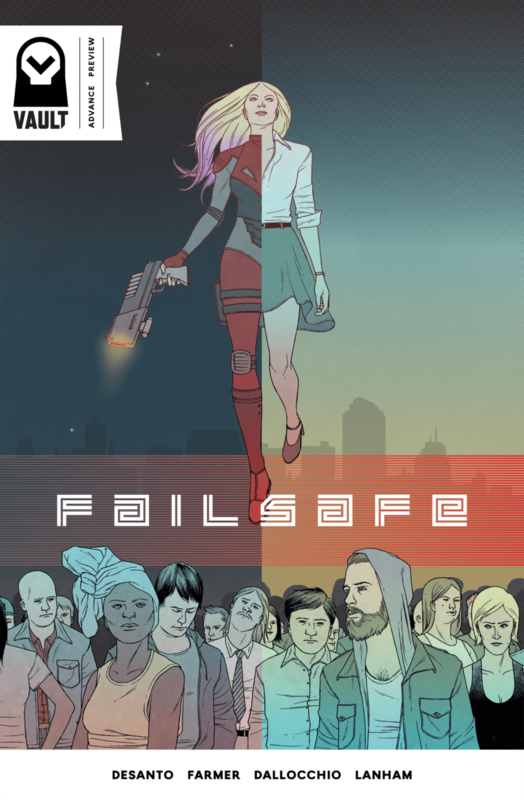 The Fellowship was fortunate enough to obtain a copy of FAILSAFE #1 from Vault Comics. F.J. DeSanto and Todd Farmer write, Federico Dallocchio draws and colors, and Travis Lanham letters. In the near future, the government announces that it has shut down its recently discovered cyber-soldier program. Ten years later, it turns out that a few sleepers have started popping up, with no idea what they are or why they’ve awoken. The government is going to have bring back the guy who took them down in the first place, but he doesn’t really want to hunt for the feds anymore. There is absolutely more to this story than meets the eye, and that goes double for the hunter Ravane. The layers are many and deep, and we get to meet a lot of characters in this first issue. Lots of potential to get to know them all makes this a compelling read, and the art does some fascinating things that help build the setting as well as the characters. This is a very busy first issue, and I’m a fan of that kind of potential. The tech we see is pretty cool too. It’s going to be cool to see where they choose to take it. 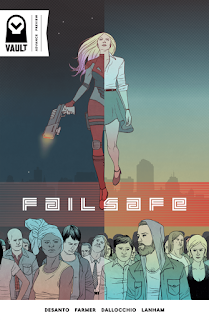 FAILSAFE #1 is available now from your local comic shop, or online at vaultcomics.com.